Dr. Jeffrey S. Kleinheinz always appreciates feedback from his valued patients. To date, we’re thrilled to have collected 38 reviews with an average rating of 4.76 out of 5 stars. Please read what others are saying about Dr. Jeffrey Kleinheinz below, and as always, we would love to collect your feedback. Very friendly and competent staff. Very comfortable atmosphere. Dr. K and his staff always work to make you comfortable and calm. Very friendly people, very relaxed atmosphere. Would recommend very highly. Dr K is a great dentist and I always refer friends to his practice. I have been a patient for 15 plus years. The staff remembers you And they are always available when you have an emergency or broke a filling.  My family has been a patient of Dr. Kleinheinz for almost 10 years. All of the staff is professional, caring and goes out of their way to ensure that parents and kids have a great experience! Please do not send so many communications. Multiple before the appointment and several after. Excellent, knowledgeable, and kind service! You could not be in better hands. Everyone is caring, patient and flexible. Dr. K and his staff are great. Excellent service performed in friendly atmosphere. Always vety professional and great services. Highly recommend . It was very good. Best wishes for continued success. Wonderful care. The staff is very friendly. Dr. K and staff always very professional and provide the best care. The greatest staff you’ll meet!!! 10 years and counting!